Have you ever wondered what it would be like to walk in the shoes of a elven queen, of a fairy princess, or mother nature herself? 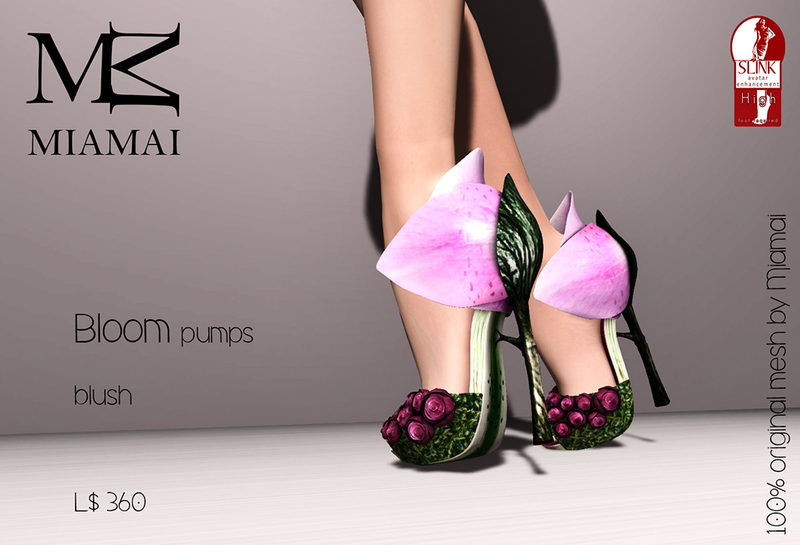 Miamai answers that question with a stunning new release at We ❤ Role-Play, The Bloom Pumps. Our cobbler Pill walked through the forest gathering the materials for these pumps from the gifts of mother nature. He took the moss, petals, rose steams, and roses back to his shop and laid them out like a pirates treasure. Then Pill created a pump that celebrates women of magic and nature. Beautiful pumps made of soft edges petals with a rose stem heel, and a moss bed for a riot of small delicate roses that adorned the shoes. 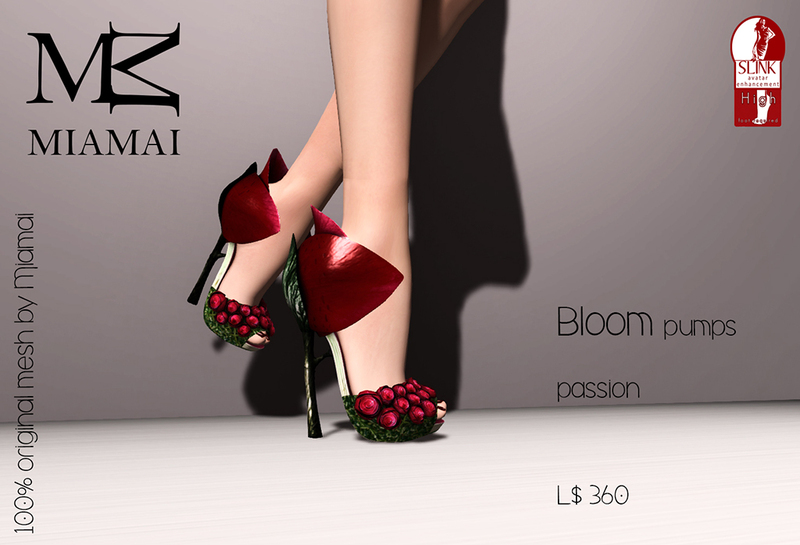 Miamai’s Bloom Pumps are 100% original mesh, add-on for SLink high feet, materials, only at We ❤ Role-Play, and 25% off for the duration of the event.